In an effort to support service providers in better working with lesbian, gay, bisexual, and transgender (LGBT) youth experiencing homelessness, we ask them directly about their experiences. Every two years, we collaborate with the Williams Institute to survey homeless youth service providers. We learn about the LGBT young people they serve in their programs and about both the barriers they face and the successes they celebrate. The information we receive helps to inform our work. 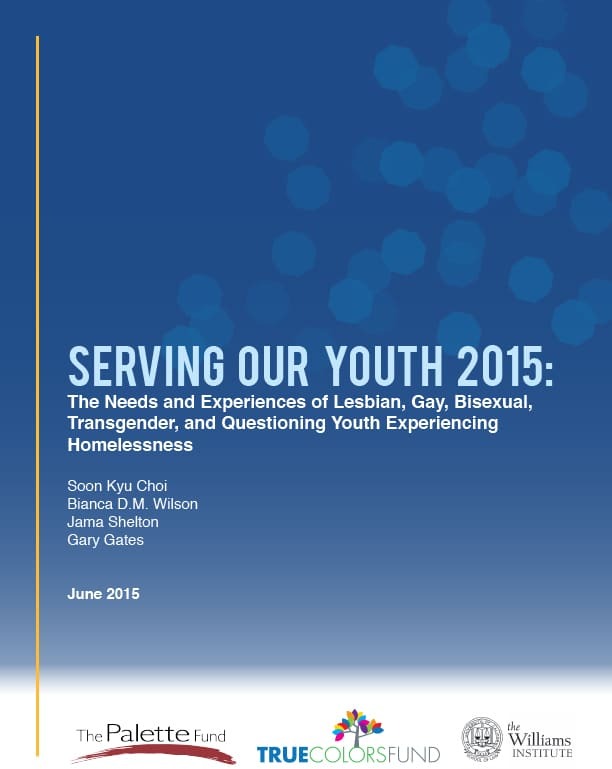 For example, in our 2015 report, service providers said funding, lack of community support, and a need for training were barriers to their successful work with LGBT youth experiencing homelessness. Information like this informs the development of our public engagement work, technical assistance offerings, and online course development.